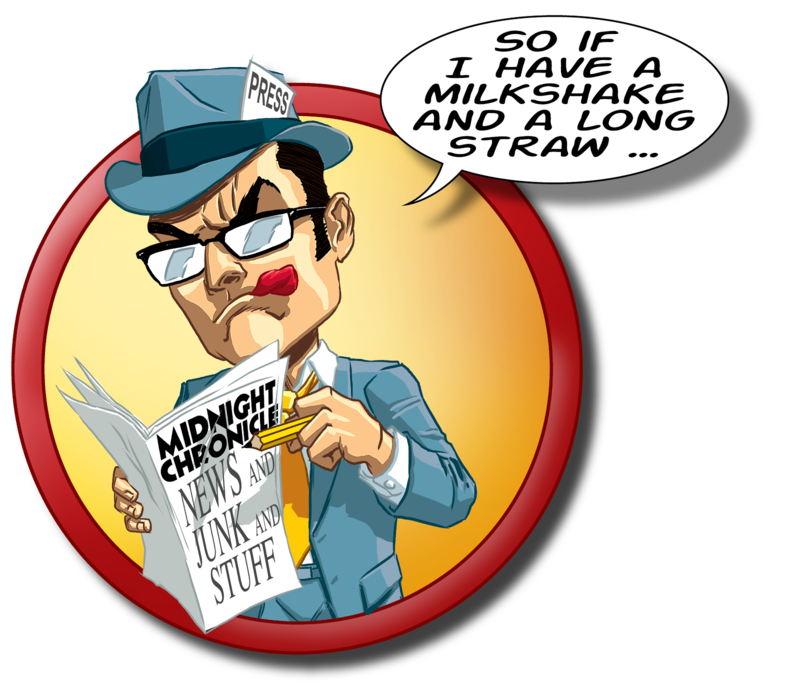 MIDNIGHT CHRONICLE: What the hell ... ? I know what you're thinking, and yes there is just enough room left on the internet to squeeze in one more blog. I resisted this for some time, largely because I reckoned no one wanted to hear my opinion on anything, and for the most part I was right. Then someone told me I could potentially make money off it and with a shout of "Screw the world!" I set off to start my own proper blog. I'm doing the world a favor and keeping this to a couple of subjects for now: my graphic novel, MIDNIGHT THEATRE: REVENGE of the OCTAGON and its ancillary properties, my separate properties BLUE BEAT and ZEPPELIN HEIGHTS, and then someone suggested I do some comic and movie reviews. Just to make things a little different I'm gonna review some old and new comics and movies in the hopes of exposing some lesser known titles to new audiences and finding new ways to make fun of old stuff while still using old techniques to crack on new stuff but never ignoring the opportunity to develop innovative methods to lay waste to new garbage. Read that sentence slowly and it makes total sense. I also like to cultivate interaction and collaboration, so please comment away. I've developed a seriously thick hide over the last 40 -- OH DEAR GOD I'M ALMOST 40 -- years, so speak freely. Worst I'll do is delete your comment. Should you happen to fall down an uncovered manhole a week later or be viciously mugged by four hoboes who smell suspiciously of Aqua Velva aftershave then that's just a happy coincidence for all of us. So, yeah. On with the content then.